← Nike Air – Just Do it, Done it, All Done! 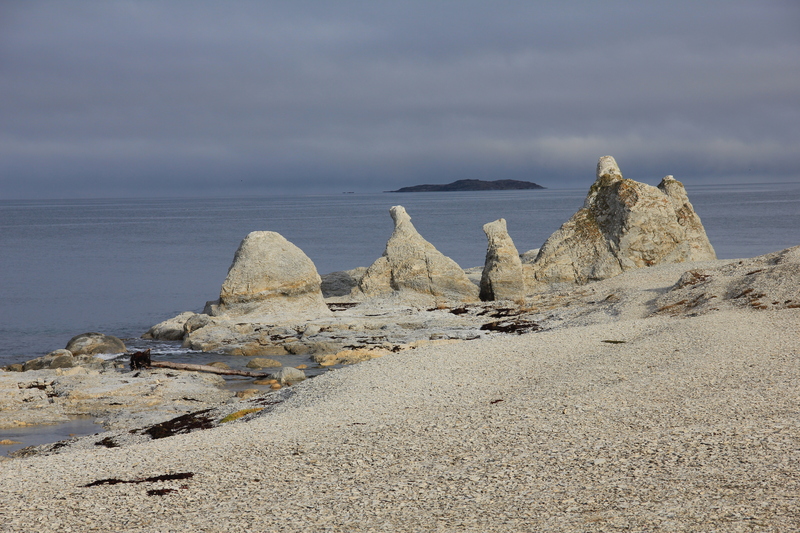 If you are traveling in the Finnmark region of Norway, and find yourself on the E6 Highway, between Lakselv and Olderfjord, there’s an attraction that you don’t want to miss – Trollholmsund. Even if you don’t understand Norwegian, all you have to do is look at the first five letters of that word, and you’ll have an inkling of what kind of enchanted place is awaiting you. This past week, during our family vacation, my husband took our three kids on a four-hour hike to visit these trolls. They had an amazing time, and of course I wanted to see this fairy-tale world for myself. I couple of days later, the kids and I took the easy route and drove to the trolls. 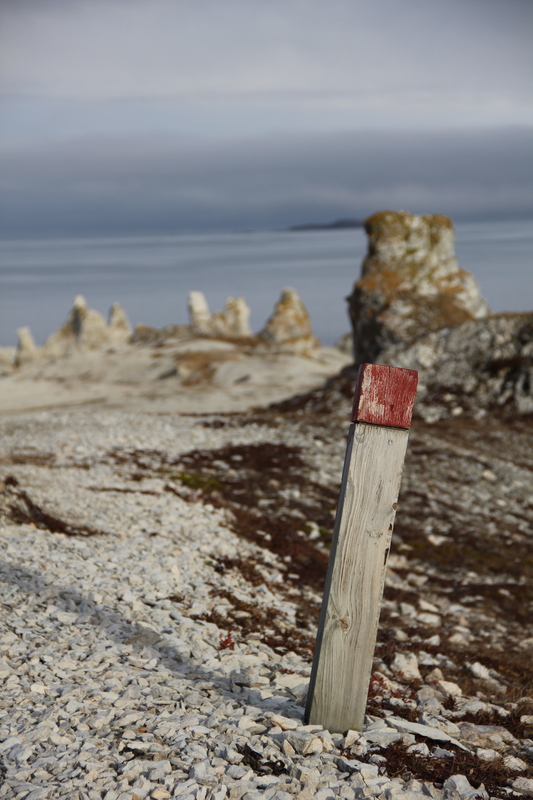 The turn-off is found in the Indre Billefjord region. We drove 5 kilometers (3 miles) on a winding, narrow road until we came to a gravel parking lot. And then we followed the sign that read “This way –>”. And when we arrived, the trolls were waiting for us. 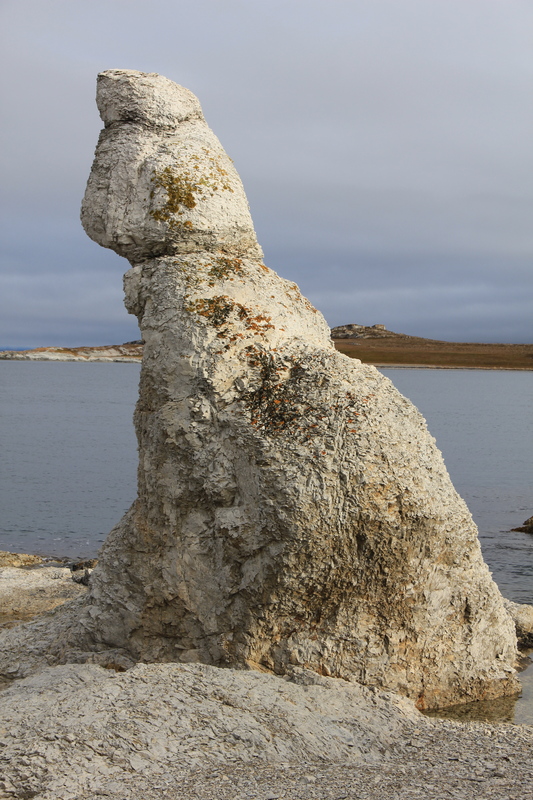 The rock formations are made of dolomite, a carbonate mineral made composed of calcium magnesium carbonate. That’s all according to Wikipedia ;-), which also states these dolomites are around 700 million years old. Legend has it that these trolls were on their way from Lakselv, looking for a large cave to hide in before sunrise. Unfortunately, they didn’t find refuge and when the first sunrays touched their bodies, they were turned to stone. These two were in a deep conversation when they were frozen in time. And this one is my favorite. He looks quite friendly. I loved Trollholmsund as much as the kids did. We greeted each of them and of course, said good bye. Just because they were turned to stone, doesn’t mean they can’t hear us. This entry was posted in Northern Norway Tourist Attractions and tagged photography, Travel, Trollholmsund, Trolls. Bookmark the permalink. Alright, I just realized why I had a sense of deja vu while viewing your troll photographs. 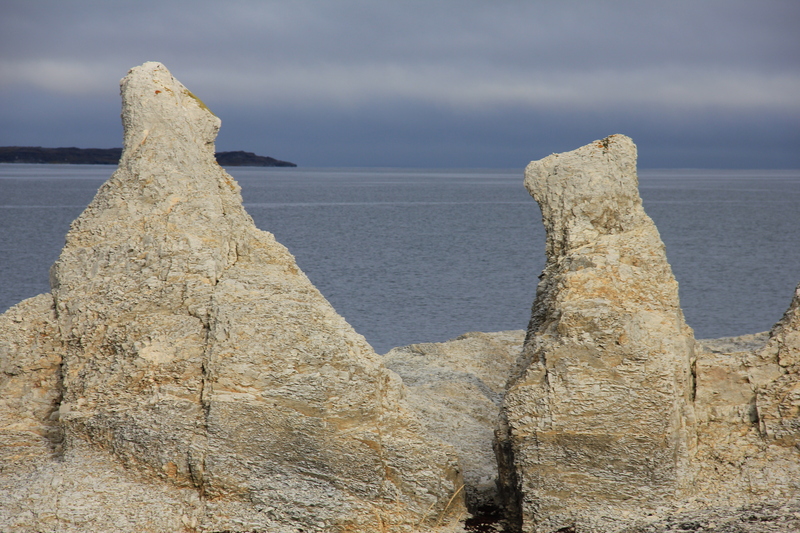 There are similar formations near Mono Lake, but without the entertaining legend! I thought the same thing when I saw your Mono Lake photo, but of course I didn’t have the amazing lighting you had! That’s a great shot you took!